But, I dont have any other display option only have "Generic-Pnp Moniter". I try to update the driver, after update also show same resolutions. 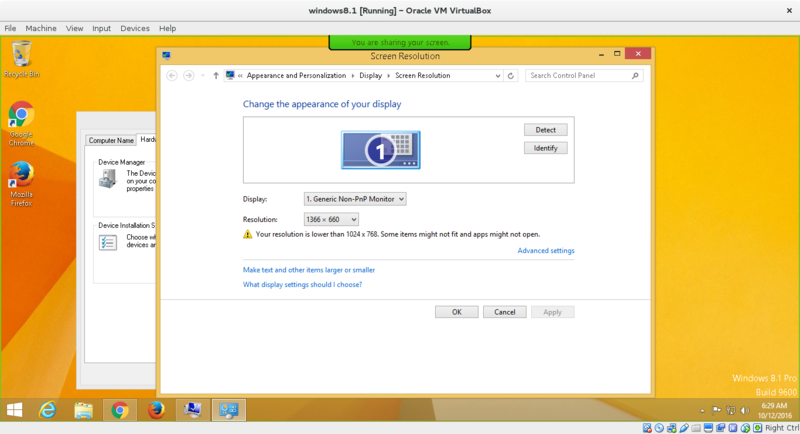 Browse other questions tagged windows-8 windows-8.1 virtualbox display resolution or ask your own question.